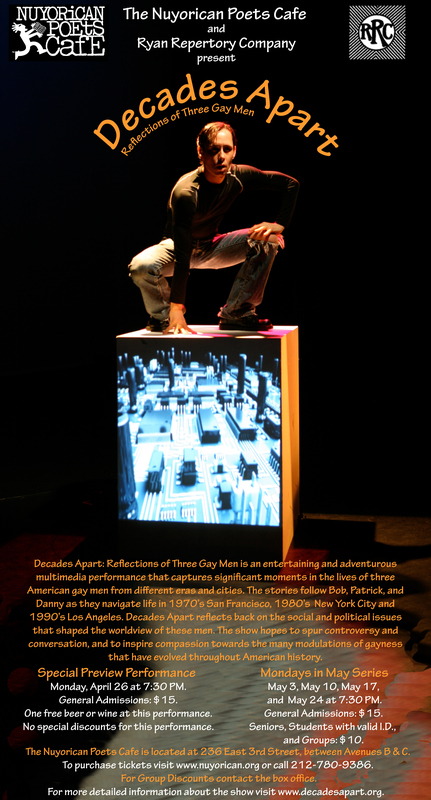 YaleNet - Smart Matters - Decades Apart at the Nuyorican Poets Cafe in Manhattan, April 26-May 24! Decades Apart at the Nuyorican Poets Cafe in Manhattan, April 26-May 24! Additional Info/Contact: To purchase tickets visit www.nuyorican.org or call 212-780-9386.